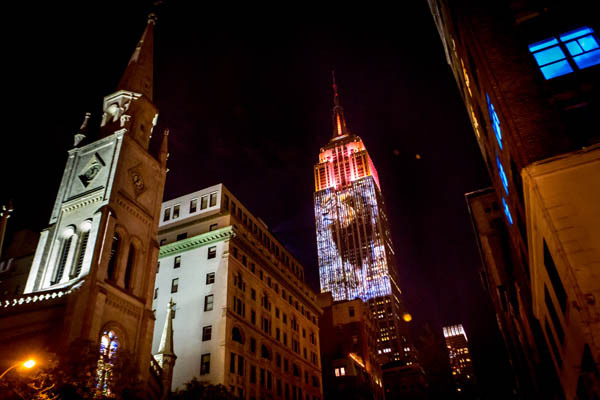 The photo of Cecil, projected onto the Empire State Building is deeply evocative. Of course, for Andy Loveridge and me, and our dedicated team at Hwange it leaves us reeling with emotion, and deep gratitude to the more than 11,000 people who have donated to our project. But more personally, I think back to the late 1970s when the concept of WildCRU grew to more than a twinkle in my eye – a seemingly impossible dream to found a conservation research unit that would become an Oxford First – the first University-based dedicated conservation research unit in Europe, and I think perhaps the world. I had to raise every penny from donors, just as today we depend heavily on philanthropy, and it took years. That dream turned into a reality because then, as now, I had amazing friends – the late Professor Sir Richard Southwood and the late James Teacher were at the forefront, and the support of huge figures such as Sir David Attenborough – many of whom put their money where my mouth was. When, in 1986, we formally created the WildCRU, with a base at the famous Oxford college, Lady Margaret Hall, I surely had big plans – big though those plans were, I never guessed that the journey would include the projection of one of our study animals on the Empire State Building. I am in awe, and I thank everybody. More importantly, with opportunity comes responsibility, and we must translate this into more and better wildlife conservation.